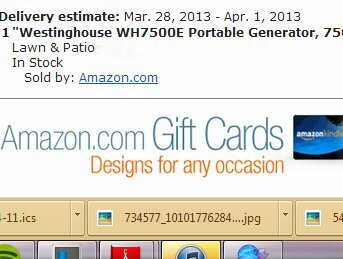 houseblueup | pictures and things. So we’re in the midst of planning our kitchen/bathroom remodel. When we moved in I was convinced our kitchen was TOTALLY FINE and we wouldn’t need to update it for years, despite the fact that it is from the 1950’s, the appliances are from the 1980’s, and the floor was installed at an incomprehensible angle. But then I really, REALLY got sick of not having a bathroom downstairs. We planned to add one when we moved in and never got around to it. And the only place we could put one was in our little breakfast nook, off the kitchen. And I wanted to keep some semblance of a casual eating place. And we might need to bust a few holes in the kitchen walls for the bathroom plumbing. And the paint on our cabinets is coming off in sheets. So a kitchen/bathroom remodel it is. I can’t say I’m not excited about it. M doesn’t want to talk about it (except to veto any of my ideas), so I turn to the Internet for help and guidance. One thing that M and I have certainly agreed on is that we want the kitchen and bathroom to feel like they have “always been here” in our 1929 center hall colonial. I have some friends in town who have similarly old homes, and they’ve added an extension to the back of the house to make this huge, gorgeous, open, modern kitchen (seriously, I know of 3 families that have done this). And the kitchens are all amazing, but they don’t fit the character of the house at all. We want our kitchen to feel like part of the home. I’ve been looking all over the Internet for inspiration, and tonight I found my kitchen. And the best part is that they, too, wanted their kitchen to look like it was part of their 1920’s house. In fact, when someone asked when they were going to update their kitchen, they took it as a compliment. And that’s what I want, too. Old(looking), but nice. And, obviously, appliances that aren’t from the 1980’s. My dream kitchen. So simple. So, yeah, the idea of a forest school is great. It’s just bewildering to me that they can charge this much for something a parent can, and should, do themselves. For free. Like, isn’t that the whole point of being in nature? To just be in nature? Are we really at the point where we have to have someone teach it to us? For $30 a session? Apparently we are, because there was not only a NYTimes article about it, but there are some 200 kids signed up for this class now? I’m taking Clementine for a walk in the reservation tomorrow. No question. Good lord. I can’t deal with this world. Or, at the very least, I can no longer deal with weird Brooklyn people who try every which way to live like they’re in the country while they’re actually living in the most crowded city in the United States. It’s the middle of March and we’re still dealing with snow. No preschool today because of the weather. 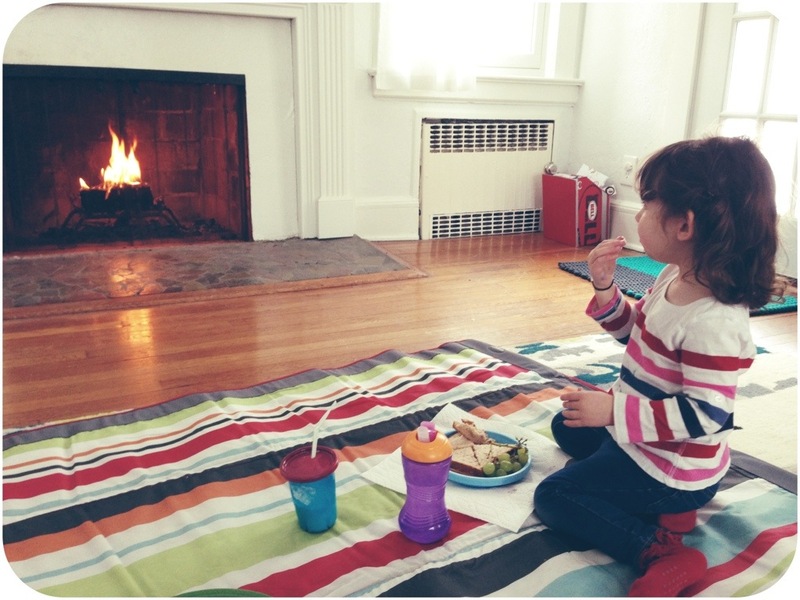 Clementine had a meltdown when we left the house, so I lit a fire in the fireplace and we had a picnic. It was the only thing I could think of to make being inside all day with a cranky toddler a bit cozier. I’m still ready for spring any time, though. Sometimes I wish we had moved to a town with lower taxes. NJ has some of the highest property taxes in the country, and our county has some of the highest taxes in NJ. I’m embarrassed to tell people what we pay in property taxes. It’s insane. And every time I think, “Oh we should have moved to one of the neighboring towns with lower taxes,” I inevitably end up in one of those neighboring towns and then I am always so glad we are where we are. I don’t want to sound like a snob. But here it goes. It’s gonna be snobby*. Hold on to your pants. It seems like people from different parts of NYC move to different suburbs. Based on a recent NYTimes article, it seems like the Williamsburg hipsters are flocking to the Hudson Valley river towns. Our town is more Park Slope/Cobble Hill/Fort Greene Brooklynites. Which are the just-twee-enough, just-crunchy-enough, just-hip-enough, just-liberal-enough, diversity-is-a-plus types that I feel comfortable with. And some of the towns right by us, with lower taxes (but much higher housing cost) are very Upper East Side. And I never felt comfortable in the Upper East Side. And I do not feel comfortable in those towns. The Mommy-and-Me classes there are filled with women in their pastel J-Crew sweaters, stacks of diamond eternity bands, straight ponytails, and Frye boots, and they scare the hell out of me. It all just makes me very uncomfortable, and I end up standing in the corner in my scuffed-up Crocs boots (they are very comfortable) and cat-fur-covered H&M sweater like the weird girl by herself at the lunch table. Except I have a toddler with me. And then there are a lot of other towns in NJ that are just…I don’t know. Here comes the snobby part, ugh, sorry. They’re kind of strip-mall-ey? The equivalent of Queens, maybe? Or maybe more like the Financial District or Murray Hill– full of people who are kind of scared of New York City and no one has a reason to go there unless they live (or work) there? I grew up in a NJ town like that, not far from West Brooklyn at all. It was a lovely childhood, but my goodness if most of us were a bit boring and sheltered. I am absolutely counting myself in that “boring and sheltered” category. I look back at myself during my freshman year of college up in Boston, completely paralyzed by experiencing all these new things and being so far from home. It seemed like that happened to quite a few people from my high school. I’m not interested in that environment again, for myself or for Clementine. ** (Mom & Dad, I seriously did love living there at the time! You did a good job!!!) Also, like half of the housing stock in those towns are split levels and oh my no. So, every time I think that we’re paying too much in taxes (which we are), I remember why we’re paying so much in taxes. To be happy. I don’t know if we would have been happy anywhere else. And that’s got to count for something. So while we can afford to live here, I think we will. And I hate moving. So there’s that, too. *Obviously I’m making blanket statements about enormous groups of people and places here. Everything here should be taken with a grain of salt. **Reading through my old post about visiting Brooklyn made me realize I am very close to becoming that person from my hometown who is afraid to go into NYC. It’s been 6 months. But I will say here that it’s not that I’m scared to go–it’s that I don’t want to deal with the hassle of bringing Clementine in. (Well, I am scared of driving in because I really hate driving in the city). But, yes, this is something I need to do soon. Very soon. Before I get to the point where I just won’t do it. We’ve lived in our house in the ‘burbs for almost 11 months now. I’ve only been back to Brooklyn once, last September, when we’d been gone for about 5 months. I don’t know the next time I’m going to head into Brooklyn. Hopefully soon?? Anyway, this is a repost from my private blog, but it feels like a good place to start with this one. We went back to Brooklyn today for the first time since we moved almost 5 months ago. It was an experience. A good experience. A great experience, in fact. I was nervous that it would be super weird when we got back, and it was. It was very weird. In the 10 years that I lived in New York, I’d never been out of the city for such a long time. The city always felt like “my” city (as I’m sure it does for anyone who’s lived there for any stretch of time), and suddenly it was just a place I was visiting for a day. I was practically a tourist. Ugh. When we crossed the bridge into Brooklyn, I saw the parks and the buildings I walked by/into every day. We passed the library and I told Clementine all about how she used to love it there. We saw all the families walking by with their strollers, and I told Clementine how she loved taking walks in the stroller. We saw kids playing in the park. I was getting seriously nostalgic, and how can you not get nostalgic for any place when it’s 73 degrees and sunny out? We went down Court Street and I was taken aback by how the sun seemed to disappear. Had I just never noticed that the height of the buildings here prevented the sun from shining? I guess I always appreciated it when I was walking home in the sweltering hot summers—and the sweltering hot summers in NYC is a whole separate discussion. But on a day like today, I just wanted the sun shining on us. Then we hit street construction. So many times. Even when there was no construction, the traffic was so loud that M and I had to yell to hear each other talk, and we were standing right next to each other. Clementine was desperately trying to tell us things from her position in the stroller, and we kept saying, “What?? What, Clementine? !” The street construction made everything even noisier. I smiled knowingly at parents with strollers rushing past the jackhammers, trying to get by the noise before their sleeping baby was startled awake. I very clearly remember walking around for an hour to get Clementine to fall asleep, only to come across construction or a siren that immediately woke her up. The nerve of these people, I would always think, daring to make noise! Don’t they know there are babies trying to sleep?! But when you have a kid, it’s stressful and a giant pain (for me, at least). So many things about having kids are stressful and giant pains, and before we moved, I didn’t realize how much living in Brooklyn added on to the “giant stress/pain” plate of having a kid. Even the best parts of the day felt a little weird, because I kept seeing them as a “Brooklyn tourist” instead of a resident. We walked by our old apartment after seeing friends at the park. I loved the little area where our apartment was. But the construction across the street from our apartment was still going on, and we all got dust in our eyes as we walked by. Not to mention the noise. On a Saturday morning (but, let’s be honest, if you have a kid, you’re not sleeping in on a Saturday morning anyway). Today was a day to open the windows, and we definitely would not have been able to do that had we still lived there (unless we wanted both noise pollution and actual pollution coming through our windows) (though, we lived in the bottom floor of a brownstone so we never really opened the windows anyway. It was such a little cave in there). Then we went to Clementine’s favorite playground near our old apartment. The playground was fun but Clementine’s hands and the seat of her pants were covered in black when we left. I had forgotten that that playground is just constantly covered in a layer of car exhaust soot. Dirt, I’m okay with. Car schmutz, it is gross. We had a fantastic, wonderful time visiting with old friends. But I had forgotten how the kids’ play spaces are also the grown-ups’ living spaces in an apartment. Clementine was about 16 months when we left, and now she’s nearly 2. She likes running. And spinning in circles. Trying to have a couple of toddlers playing in a Brooklyn apartment, while there are also grown-ups trying to have a conversation, is more difficult than I remembered. Still so fun, but just a little cozy. I guess this is all just to say: New York, I love you. I do I do I do. You were a fantastic place to go to college and find interesting jobs and be young and fall in love and have babies. M and I both agree that we’d love it if Clementine lived in New York for awhile when she gets older (I would be particularly happy if she went to Barnard, of course). But, New York, you are just too bonkers for me now that I’ve grown up. Whatever joy I get from you is not worth it for my sanity or my kid’s sanity. Clementine kept doing her weird finger-crossing thing all day, which I think she does when she’s stressed. New York stressed my little daughter out. No one messes with my daughter. Which is why I’m so glad we moved to NJ. I can get to New York in 20 minutes by car, on a light traffic day (oh good lord, the freaking traffic in New York is nighmarish, I always hated it but it was extra awful-feeling today). The train is 40 minutes, max. Sitting down. Not standing in someone’s armpit. But I don’t need to get to New York. And that’s what I realized today. My neighbors are all pretty Brooklyn-y. In fact, pretty much everyone is from Brooklyn. Just like everyone in Brooklyn is from somewhere else. I have a great zoo 10 minutes away (the Bronx Zoo or even Prospect Park Zoo was always an expedition. Every time we went, all I could think of was how much crap I could load onto the stroller). I have an awesome science museum 20 minutes away (once again—Natural History Museum, you’re phenomenal, but you are also an expedition). I have a bunch of playgrounds nearby, many of which feature dirt (and giant fields for running!!! ), but none of which feature car schmutz. I have at least two performing arts centers within 20 minutes, with plays and music and events. I have enough great restaurants around to keep me happy, and plenty of other great restaurants within a 20 minute drive if I ever get bored (but, let’s face it, even when we were in Brooklyn we went to the same 5 restaurants all the time). I have two diners where the waitresses know Clementine’s order by heart, and always bring her crayons. I have had zero issues getting my kid into preschool. I took a look at the place, signed her up, and that was it. There was no interview. How do you even interview an 18-month-old? I have a house with a separate room for Clementine’s toys, and she can run laps in the house if she wants. We can also go outside to play, any time we want, without having to pack a bag and a stroller and have a “plan,” or even shoes or, frankly, pants (I always wear pants) (sometimes Clementine doesn’t). We can just be outside, where the only stimulation is nature. How simple. How necessary. And how completely lacking in New York (I had no idea how important this was until I moved here). I can walk, in 5 minutes, to an enormous nature reservation, where Clementine can run down a path without having to hold my hand (she’s still getting used to that idea—I had insisted so much in Brooklyn that she hold my hand at all times that it was weird for her to walk on her own when we started going for reservation walks). We see deer and wild turkeys. No pigeons. I can go to Ikea (in 20 minutes!) without having to either rent a Zipcar or lug my enormous particle board purchases on the stupid bus, and then walk home from the bus stop with them. Oh my goodness. Also: Target. And two malls. Oh, and a Trader Joe’s where there is never a line more than 5 people deep. Shopping has never been easier. I will still go into New York on occasion, of course. One thing I don’t want to do is turn into so many people from the town where I grew up, who were afraid to go into New York, which was so close, and there are certainly things that only New York has. But I guess I just realized today that everything I could want in New York, I can get—much more simply, and therefore, much more happily—right here. So, this is all to say: my experience going back to Brooklyn today was great. It was phenomenal. It made me realize we made a very, very good choice when we moved. I think realizing that Clementine had her fingers crossed the whole time sealed the deal for me.